Last weekend I said that it really felt like winter. For the last two days it actually was winter across New York and New England. 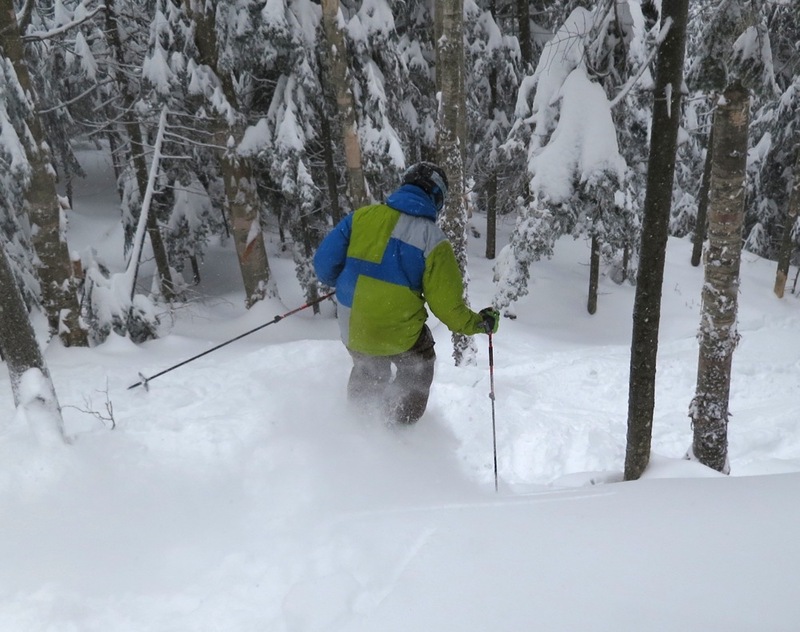 A storm we’d been watching for a week arrived in the North Country and delivered as promised. At our place in New York it started to snow at 8pm last night and continued pretty steadily throughout the day, leaving sixteen inches of snow, and — for me at least — the idea that just maybe normal winters aren’t a thing of the past. It’s been a while since I skied deep fresh snow, and I was really looking forward to it. But also to be honest, I was anxious, after my injury in dense snow last spring. Last season I made a connection with the guys from Worth Skis, and ordered a pair of Daily Bread for just such an occasion. After some extended consideration over the possibility of buying my first fixed heel binding, time ran out, and the storm was on our doorstep. I did the safest, easiest, cheapest thing, and mounted them with Rottefella R8s, my tele binding of choice. It was snowing really hard when we went to bed, and it was snowing hard in the morning. I’d read a NWS forecast discussion at 3:45 am that implied that snow may have stopped overnight in Albany. Skiers I talked to from points on the Northway said that they saw no falling snow until they got to Warrensburg. In North River, I estimated a foot had fallen based on what we shoveled off the porch. We left the cabin at 7:15 and made our way carefully down the hill to the main road. On the upper mountain the trails were really so so. At least by the time I got to them, they were big piles of fresh snow separated by very durable manmade. At least that’s how it felt to me today on 98mm skis. I have to admit I got pushed around on the crustiest groomers. But the trees were delicious, like cream cheese. That crust from last Thursday had morphed into a go anywhere bottom layer. What was on top was pretty dense snow. But it was all snow. Good skiers were munching it up. I skied all day and I thought I skied pretty well I considering my lack of powder experience. 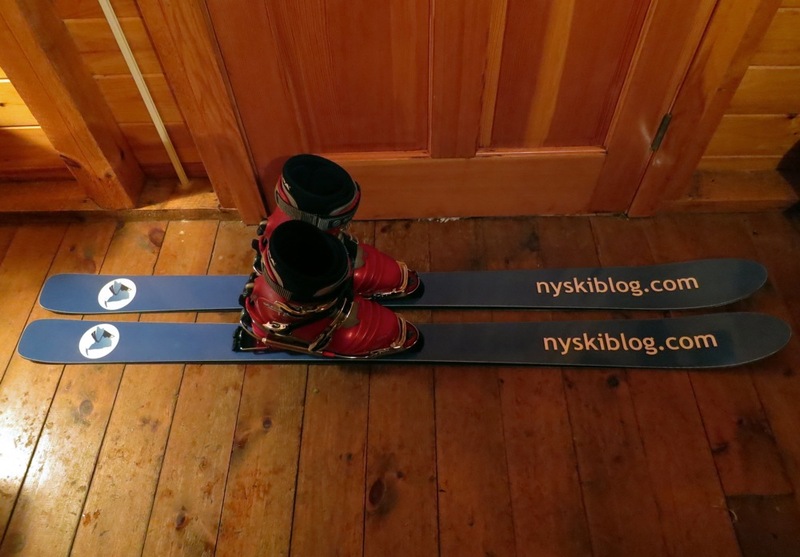 At times I wanted my skis fatter, and at times not. I just can’t survive with a ski that can’t handle groomers. Everything is connected by groomers at Gore. I think that probably means those boards are perfect “powder skis” for me. There was skiing. Many plans were laid, and a respectable percentage were executed. At the end of the day I was alone, taking my time, doing four turns then stop, in the trees. I really think that’s what I need to do. I was really enjoying Tahawas glades and did some laps until sweep came by. The cool thing about patrol on sweep: they stay behind you, so you can ski ahead and take pictures. They wear red, which shows up well on a nuclear powder day. And they can ski. Woot! Glad you got those Worths mounted up and skied on. The best laid plans…, well, that’s what they are. Just back from somewhat snowy Pennsylvania and looking forward to finding leftovers in VT next week! Nice work Harv. Glad you got sum today and came out unscathed. It continued to snow here in Saratoga all day. Probably somewhere around 10 inches all together. Headed up tomorrow with the 4 year old so look for us on the green/blue groomers. What a difference a week makes! 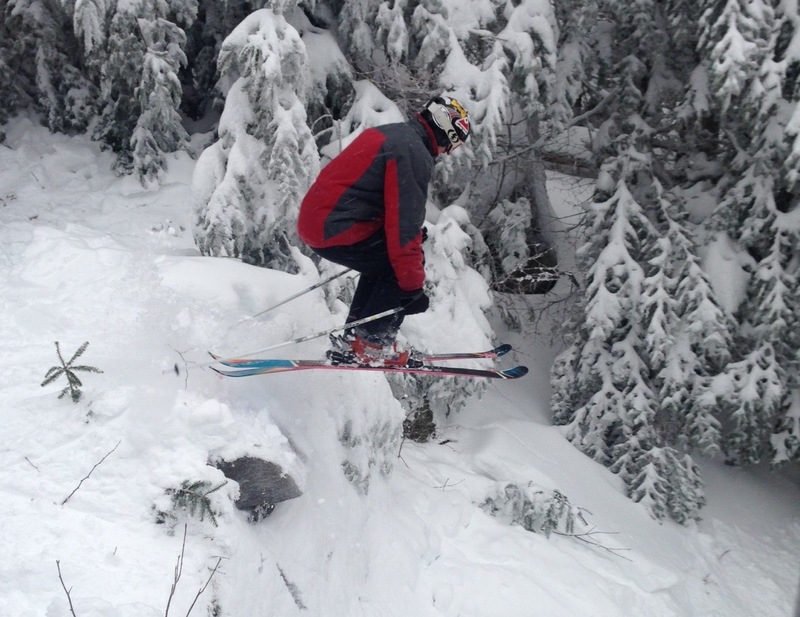 Hopefully the snow on Saturday freshens up Gore for Benny’s first day on Sunday. Never thought I’d be bringing my tree skis for day one. The NYT ran an article about a month ago telling me that global warming was responsible for last season and this season’s bad start. Yeah, sure. Aye, that’s the problem at Gore and other places in the East. 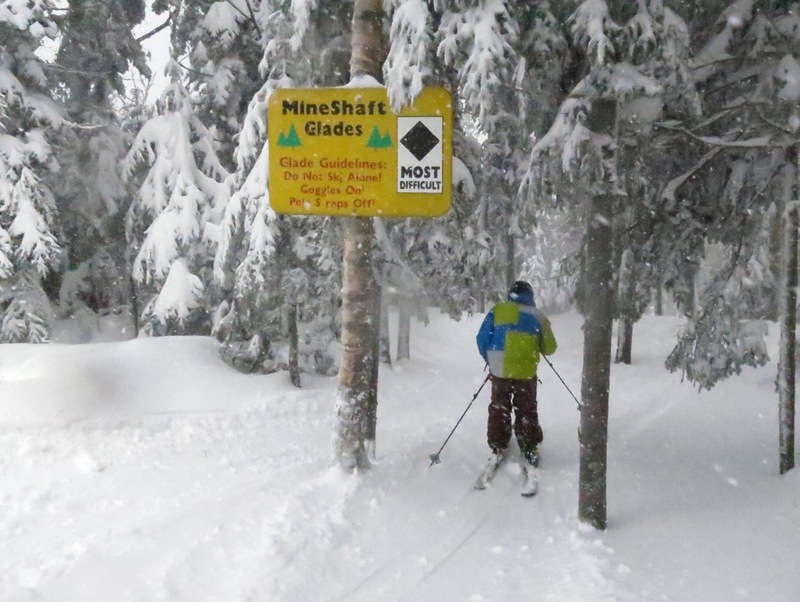 I’m on Phantom Crystal Ships when it snows, and, yeah, I can sort of have an OK time on the groomers, but, I’d much rather be in the trees 90% of the time. Furgetabout the original Phantoms on hard pack – miserable. So, I guess the solution, is, of course, more snow! Harv, You’re a total stud, a man in full! Glad Ullr’s love has returned to the East. 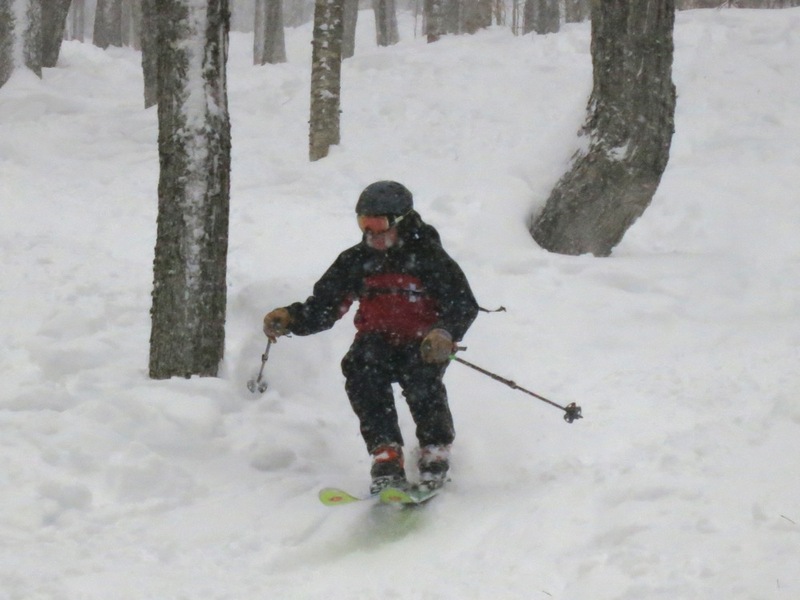 Skiing the woods til sweep on a great pow day is awesome. Happy New Year! Harv, It was a great day. Haven’t skied snow like that in 2 yrs. Got up to Margaretville (catskills) on late afternoon Wed. Thursday at Belleayre was the best day in 2 years. The patrol couldn’t drop ropes fast enough. Friday was fabulous as well. It has been snowing pretty hard today (29th) since 11 or so and tomorrow is going to be another great day. 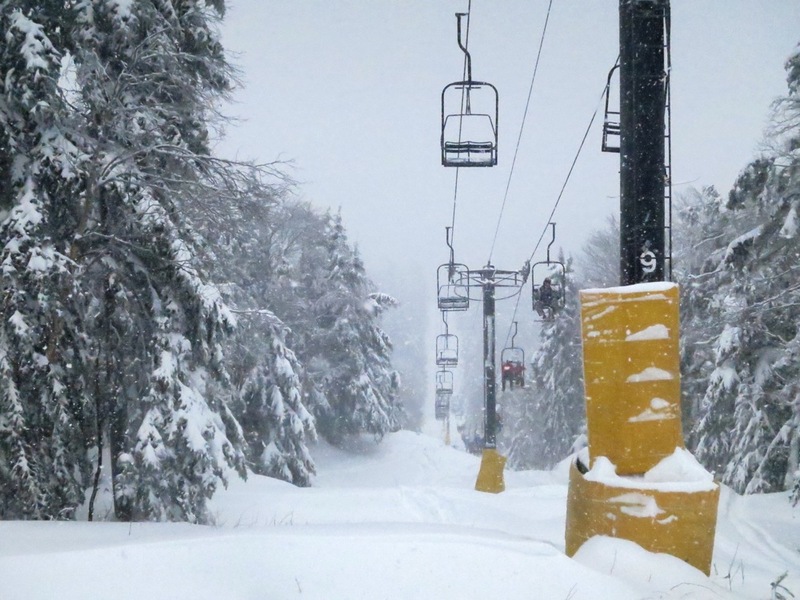 This snow is lighter than the snow on Thursday when they got about 14″ of good base snow. At least 4 new and still snowing pretty hard. I picked up a pair of this years Armada TST’s when I was in NH last week and absolutely love them. Rocker camber with nice firm tail. 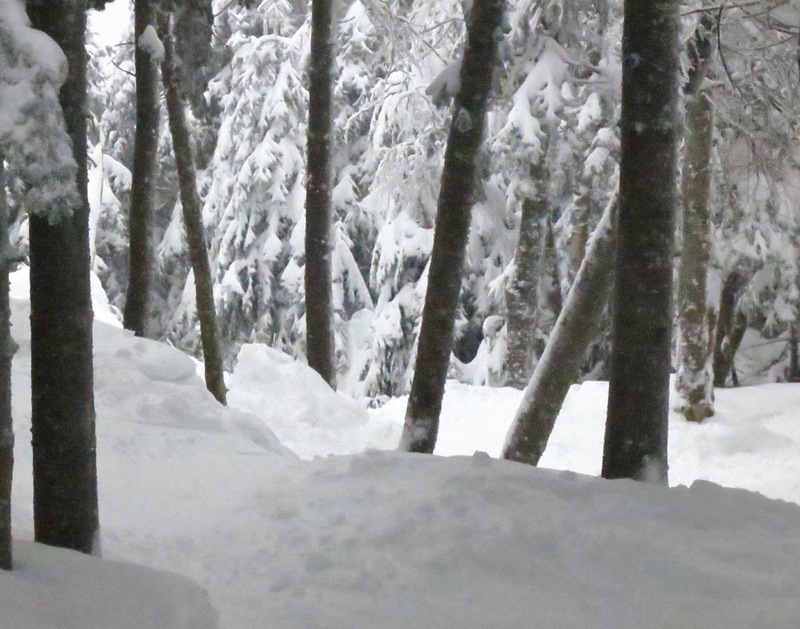 183’s float great in the heavier stuff and hold surprisingly well on firmer groomers. Rock solid in crud. Turn on a dime in trees. Really a fun ski.